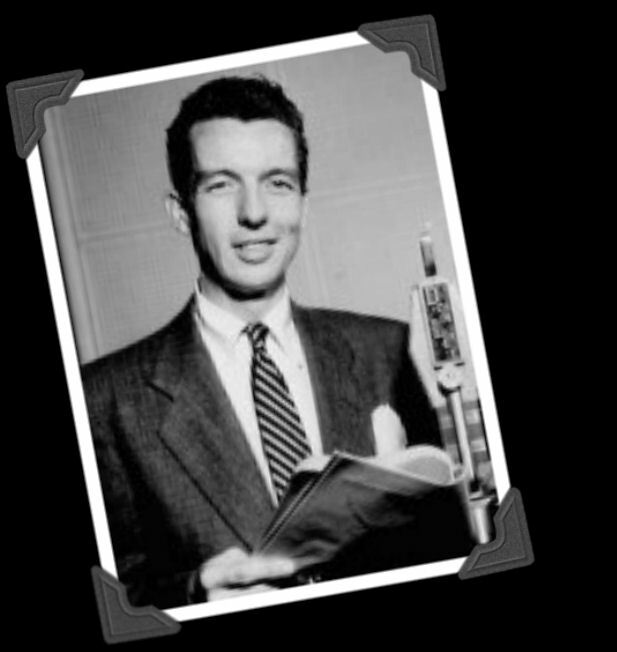 Yours Truly, Johnny Dollar was a radio suspense/drama featuring "the transcribed adventures of the man with the action-packed expense account - America's fabulous freelance insurance investigator." Johnny was tough and smart as he investigated all kinds of insurance shenanigans, including theft, fraud and even murder. Several actors starred in the lead role over the run of the show, including Charles Russell, Edmond O'Brien, John Lund and Bob Bailey (pictured). The show aired from January 14, 1949 to September 30, 1962.